Amy Meyers led two groups of kids from Clarkston Community Center's summer camp in sessions of perspective drawing. The kids works in teams to trace each other's feet and traced their hands to create a fun and silly self-portrait. Paint Love appreciates working with diverse groups and we love seeing how kids work together and create together. Clarkston Community Center serves families from 150 different ethnic groups, from nearly 60 different countries of origin, that speak over 50 different languages and 43% of Clarkson’s residents are foreign-born and more than half are living in poverty. 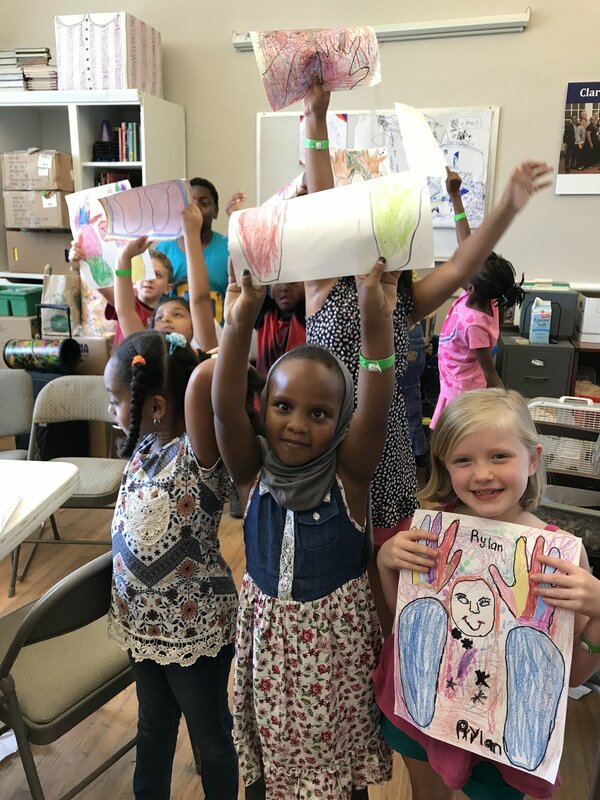 The Clarkston STEAM-Plus Summer Camp (STEAM standing for Science, Technology, Engineering, Art, and Math) welcomes children between the ages of 6-14. The fun and creative atmosphere of camp also builds stronger English language skills for those who are new to this country and bolsters self-confidence for participants, especially for girls and young women. The campers explore and create eco-art, assemblage art, painting, drama, dance, and gardening. They also tackle core subjects like science, mathematics, social studies and English. To expand technology skills, the camp also features 3D printing, computer programming, and architectural design. The entire team from Sketch Effect started their week bright and early with back-to-back sessions teaching four art classes- that's 125 high school students!- at Maynard Jackson in Atlanta about visual note taking. Sketch Effect's workshop drew on the principle that people learn in two ways—verbally and visually—and discussed creative, effective communication and note-taking methods that leverage both channels of learning. Students learned about information hierarchy and visual navigation, got to see William Warren and the rest of the team in action as they did a live- drawing to a Ted Talk, and then the students got to put their new skills to the test with visual note taking exercises of their own. 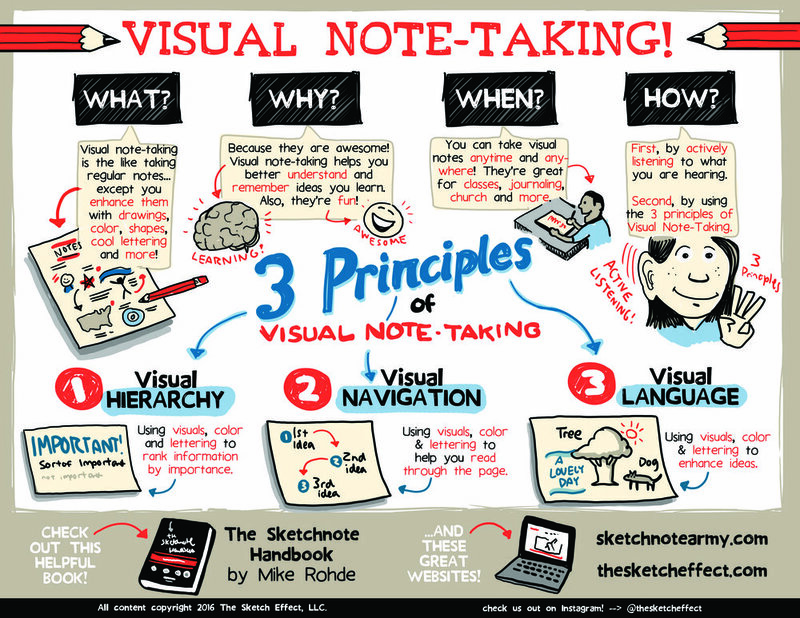 Here is the hand out they gave the students, so you can learn more about visual note taking for your own use in class, meetings, or at events!